I completed my truck driver training last week and got my CDL. I also got hired by the two best companies that were recruiting from my school. Once I learned how to apply to these companies and get a pre-hire , I decided to take it a step further and apply on my own. I was about to fly to Texas for an orientation until my cousin warned me "Don't get suckered in by those training companies." He recommended a company from the "20 Best Fleets to Drive For" and I looked into it further. This was the best decision I've made in years. I'm at the orientation for my new job right now, only one week after seeing the job opening on the internet. The people here are very professional and reasonable. There were also some good people at the school I attended too but there were some bad apples as well. I would really recommend that new students think for themselves if they go to a school that offers recruiting for other companies. I could say a lot of nice things about certain people at my school but I could also say a lot of bad things about one or two of them. At a really good company, you won't have to put up with people that are screaming at the students like I saw at my school. Yelling at students who are paying your salary everyday and then covering it up with "I am not yelling at you!" is not a treat you need to put up with when you're trying to learn how to save your own life. What you really need is a calm, responsible teacher who can explain things to you in a reasonable manner, keep their eyes and ears open and answer your questions as they come. Many of us started off in foreign countries and were trying to figure out how one teacher in particular could be complaining so much about his "difficult situation" in America. He had transferred from another state up north and didn't realize the job situation down south would be so "tough." Students from many places like Ghana, Jamaica, South Africa, Cuba, and Iraq were all wondering what the big problem was here in the good old USA? They all thought they were in the best country in the world but apparently they were living in some kind of "depressed job climate." Why certain teachers like that still have jobs when there are places in the country with 11% unemployment is totally a mystery to me. This teacher who was yelling at grown men and women everyday, who were all paying his salary, needed an overhaul on his attitude. I shouldn't complain too much. There was another student there, a former Alabama preacher, who endured even more attacks from teachers than I did. His driving wasn't much different from mine but, on the final test day, he made a harmless comment about "only having one chance to practice his drop and hook" and another teacher suddenly exploded. It was like an episode from Jerry Springer. The best part about it was the Alabama preacher stood right up and started yelling back. He didn't miss a beat. After the teacher backed away (probably didn't want to lose his job), the preacher sat back down and apologized for getting so angry. I was totally impressed with this preacher guy. Test day seemed to get the best of everyone, raising the stress level to the breaking point. Only 4 out of 12 students graduated that day and I wasn't one of them. I was only the fifth to get through on the following Monday and the preacher made it through right after me. Like I said, there were some very good teachers who were patient and helpful and the greatest of these was a female truck driver who I was very grateful to. Patience is really the name of the game if you want to be a driving teacher. The head teacher also had his hands full trying to manage all the problems that his overheated teachers were throwing at him each day. I guess the complaints always go up the ladder and teachers at the bottom don't seem to understand that they won't move up until they learn how to keep their complaints to themselves. During the dark periods, I thought of my girl in the Philippines. I knew I couldn't give up just because I encountered a few bad apples. I kept my mouth completely shut and kept my eyes open. In the end, I was happy with the outcome and none of it seemed to matter much after I got my CDL. I will talk about the orientation at my new job next week and then about my 4 weeks of finishing on the road with a trainer. Like I said, try to think for yourself if you get into a tough school. A lot of these schools work in tandem with the training companies and they will try to ease you into a certain job with one or two particular companies. There is still the option to apply at other places for 3-4 weeks after you get your CDL. I am at a great company now and just finished my first day of orientation here. I will explain the job orientation next week and then start telling the story of my training with a finisher. I expect things to go a lot better at my company job and will focus on the good people at my former school who remained patient with the students while we were transitioning into this new and amazing career-lifestyle. Any combination of vehicles with a gross combined weight rating (GCWR) of 26,001 or more pounds, providing the gross vehicle weight rating (GVWR) of the vehicle being towed is in excess of 10,000 pounds. Any single vehicle with a GVWR of 26,001 or more pounds, or any such vehicle towing another not in excess of 10,000 pounds. Any vehicle, regardless of size, designed to transport 16 or more persons, including the driver. What Exactly Is A Pre-Hire Letter? Pre-hire letters are acceptance letters from trucking companies to students, or even potential students, to verify placement. The trucking companies are saying in writing that the student, or potential student, appears to meet the company's minimum hiring requirements and is welcome to attend their orientation at the company’s expense once he or she graduates from truck driving school and has their CDL in hand. We have an excellent article that will help you Understand The Pre-Hire Process. The people that receive a pre-hire letter are people who meet the company's minimum hiring requirements, but it is not an employment contract. It is an invitation to orientation, and the orientation itself is a prerequisite to employment. During the orientation you will get a physical, drug screen, and background check done. These and other qualifications must be met before someone in orientation is officially hired. Drop and hook means the driver will drop one trailer and hook to another one. In order to speed up the pickup and delivery process a driver may be instructed to drop their empty trailer and hook to one that is already loaded, or drop their loaded trailer and hook to one that is already empty. That way the driver will not have to wait for a trailer to be loaded or unloaded. Well, I spoke to Randy for nearly an hour last night about his first full day at truck driving school, and it was a 12-hour marathon starting at 7 am. We covered the operation of a big rig and took a drive, now I'll cover taking the CDL exam and share thoughts about the process of getting your CDL. Company Sponsored CDL training can be a lot like boot camp. Prepare to have your self-worth, dignity, brains, abilities, and patience tested. Going through a company-sponsored CDL training program is no bed of roses. Here are some of my experiences and some challenges you can expect to face. CDL training is certainly not easy. Here are four main reasons why people tend to fail their training at truck driving school and how to prevent them. 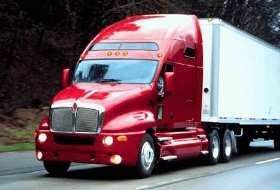 What Causes People To Fail CDL School? Most people get through truck driving school, but others do not. Here's some great advice that will help you pass truck driving school with flying colors. Getting started with CDL training meant a ton of bookwork in the beginning, working outside in temps below zero, and busting up some drivetrains. Learning to back up a rig is clumsy at best. Nothing about it is easy. Having fun with it helps make learning easier, but prepare to embarrass yourself!